Last month I saw the preview for the new movie of Far from the Madding Crowd and I thought, wait a minute, I never read the book! How can I go see the movie if I haven’t read the book? (I have managed to do this before, of course. I saw Still Alice without reading the book.) I went on a Hardy binge about 10 years ago but somehow I never got around to this one. I’ve been reading a lot of mediocre novels lately. I was ready for a novel I could count on. I was ready to go back to Thomas Hardy. Hardy wrote Far from the Madding Crowd in 1878. Dickens died in 1870. Henry James published Daisy Miller in 1879. Edith Wharton published The House of Mirth in 1905. That gives you some idea of how to place Madding Crowd. It was Hardy’s first big success, serialized like Dickens, which means the chapters are short and action packed by Victorian standards. It’s also said to be Hardy’s first tragic novel, but by the standards of Jude the Obscure this one is a laugh riot. I had a huge amount of fun reading it. And if you wonder if the book has had any cultural traction since 1878, make note of the name of the plucky, independent young heroine who decides, on her own, to run the farm she inherits: Bathsheba Everdene. Seen any Everdenes (or Everdeens) running around lately? There are so many books I’ve missed along the way, both in the classics category (see above) and contemporary literature. I still haven’t read Wolf Hall. (There, I’ve said it. I’m filled with shame. You might as well stop reading now.) So when I found myself in Ketchum, Idaho, a few weeks ago and flat out of books, I went into the terrific independent, Iconoclast Books, to see what I could find. I probably would have bought Wolf Hall but I think I already own three copies purchased in similar circumstances. Instead I bought David Mitchell’s Cloud Atlas, a book that is perfect for hotel rooms and long plane flights because it requires so much concentration to follow. This is the favorite novel of some of the smartest people I know, and I have to say it is a technical marvel. I felt like I was watching Cirque du Soleil. I kept thinking, I just didn’t know a person could do that in a novel. I had no idea that such things were possible! But like Cirque du Soleil, I was floored and stunned without exactly being moved or engaged. I was extremely impressed, and as soon as I finished the final page I forgot all about it. 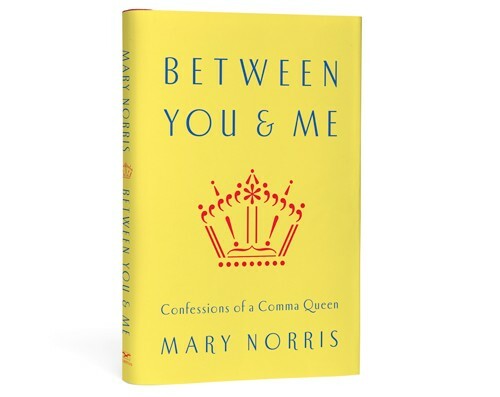 If Cloud Atlas, a book about slavery and man’s all-around inhumanity to man, failed to move me, Mary Norris’s book about grammar, Between You & Me: Confession of a Comma Queen, touched me deeply. Go figure. Norris, a long time copy editor at the New Yorker, mixes personal history and punctuation history and spins out a supremely engaging tale. The part about gender pronouns is downright tender. And while I’ll admit that the chapter about dashes — em vs. en vs. hyphen — had me struggling, I think it was probably good for me. And speaking of good for me, I bought my mother a book for Valentine’s Day called 10% Happier by Daniel Harris. I bought it because of the title, because I thought that wishing someone a 10% improvement in their personal happiness went nicely with a box of chocolate. When my mother finished it she came to the store and bought the six copies we had in stock. She gave one of those copies to me. She said the book changed her life. Who isn’t going to read the book her mother said changed her life? The book didn’t change my life, but I could see how under other circumstances it might have. I already meditate. (This is turning out to be the confessional book report: I haven’t read Wolf Hall, and I meditate.) 10% Happier explains how the author, a newscaster and the guy least likely to meditate, discovers meditation, becomes committed to it, and improves his personality and general happiness quotient in the process. He can be an irritating narrator in places, but of all the meditation books I’ve read, this one makes the most straightforward case for how and why to start. You can’t help but think: if this guy can find a little inner peace, it must be available to all of us. From meditation we move onto photography. (There’s no natural segue between topics in this post. We’re just going to have to make the leap.) There are two books of photography I want to mention before wrapping this up. The first is TWO by Melissa Ann Pinney. Melissa and I met because she sent me some of her photographs in the mail and asked me to write the introduction to her first book. I loved her work from the moment I pulled it out of the envelope. I called her up, we talked, I wrote the introduction to Regarding Emma, and that was that. We were friends. Her second book, Girl Ascending, was equally gorgeous and important, but there was a problem. These were art books. They sold in the Museum of Modern Art gift shop. They were prestigious and important and no one was seeing them. 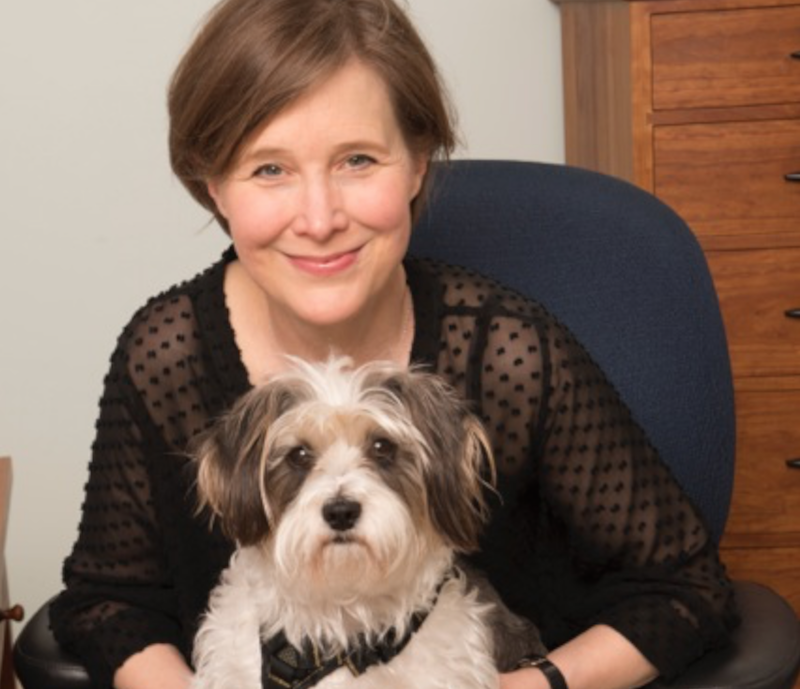 So when I was visiting Melissa in Evanston, Illinois, two years ago and she showed me pictures she was putting together for her third book — all pictures of pairs: people, trees, cups — I loved the work as always, but I told her things had to change. By this point I was a bookseller and I wanted to sell Melissa’s books. I wanted a lot more people to see her work and love it and connect with it the way I had, so we had to figure out a different way to approach the book of photography. I suggested that I tap 10 friends to write pieces about the nature of two. They wouldn’t write about the photographs, they would just write about two things. Susan Orlean wrote about two of her chickens, Barbara Kingsolver wrote about her parents, Elizabeth McCracken wrote about her mother and her aunt who are twins, Billy Collins wrote about a man and his dog. You get the picture. When we put the writing together with the photographs, we came up with something more than either one of us had imagined. My hope is that it will be a book people come back to again and again. TWO makes a superb gift for parents or sisters or newlyweds or friends, and would also be a nice thing to take to a dinner party instead of a bottle of wine. Am I selling this? I hope so. And while we’re on the subject of photography, there’s Sally Mann. I met Sally last year at a party in Washington last year and we talked all night. I was instantly and completely crazy about her, as I imagine everyone who meets her is. She told me she had just finished writing a memoir and I told her I wanted to read it. I never say this to people I’ve just met. Never. She emailed me the first chapter the next day and I emailed her back — where was the rest of it? I read Hold Still as a glorious pile of paper. I read it while I was walking. I read it eating breakfast. First off, she’s as good a writer as she is a photographer (how is this possible? I have no idea) and secondly, she has some serious stories to tell. 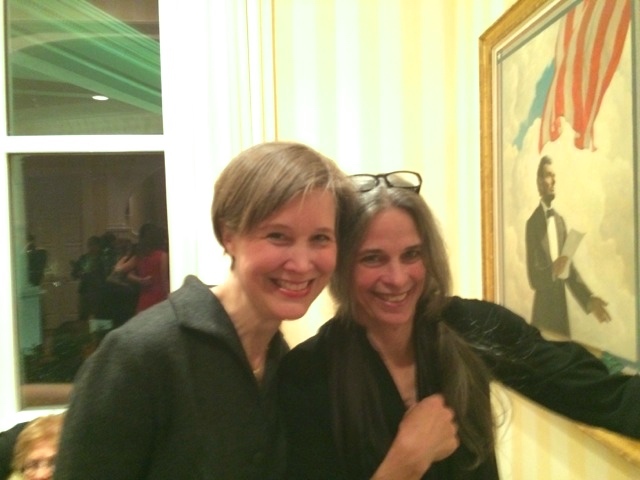 Things have happened to Sally Mann and to her people. She has made great art and lived a deeply textured life which has dragged her through storms of controversy. It’s a story of the best of times and the worst of times. Next week I’m going to New York to interview her at Symphony Space for the book’s release, and on May 21 we’ll do the same show all over again at the Frist Center for the Visual Arts here in Nashville, which is why it’s always a good idea to go to parties in Washington and strike up conversations with strangers. Summer is coming and life is just about to be quiet. It’s already quieter than it was. The summer reading table will be up before we know it, and young people will be coming into the store looking for a copy of some Thomas Hardy novel. Or maybe they’ll just be coming in to play with the dogs. Either way, we’ll be ready.